With Boss week going on this week, we want to take a minute and say " THANK YOU" to our ALC HERO, our boss, BEN FORD. 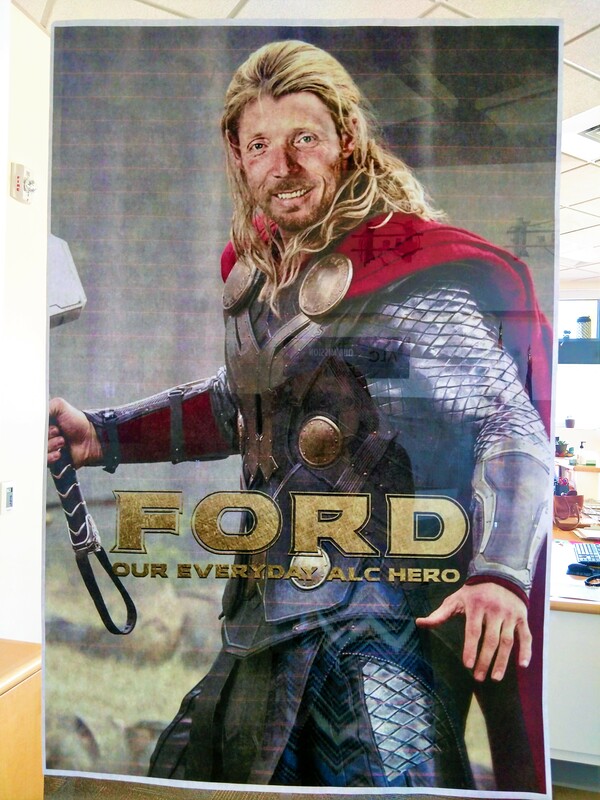 Ben "THOR" Ford, stepped into the role as principal and boss of the ALC just this year. Ben had to hit the floor running when stepping into this new position. This was a huge undertaking with the move, and the new building, and also the new sports center. We are thrilled to have him here and want to thank him for what he has accomplished so far! It has been a fun week full of surprises for our "BOSS"
"BAR" NONE.... WE HAVE THE BEST BOSS EVER!! !